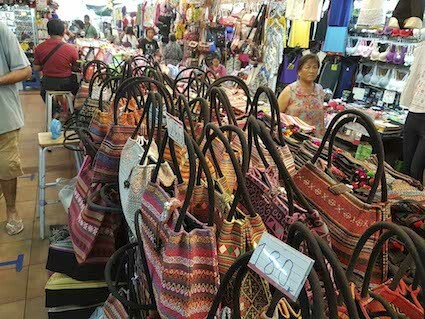 Chiang Mai shopping is a totally different experience than Bangkok. The biggest city in the North of Thailand has way less malls or big designer labels, but instead is home to small shops run by artisans. You can imagine it’s my all time favorite shopping city in Thailand! Let’s dive in and explore the best shopping spots for your next trip to Chiang Mai. 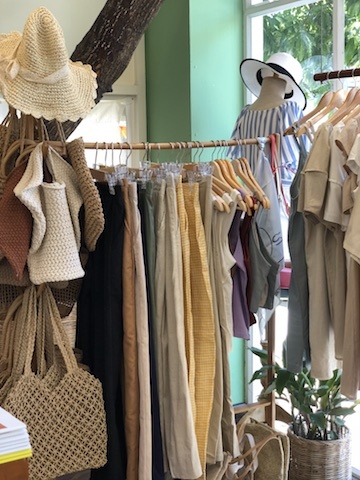 Without any doubt, head to Nimman to start your shopping spree. This is my favorite neighborhood which you absolutely can’t miss if you’re a crafts lover like me. You can find this area along Nimmanahaeminda Road (or Nimman in short, which every cab or tuktuk driver will understand) and mainly its side alleys, called Soi in Thai. I’d recommend to stroll along the uneven Soi’s 1 to 13, which are filled with artisan shops. Soi 1 will give you already a promising start into crafts heaven. 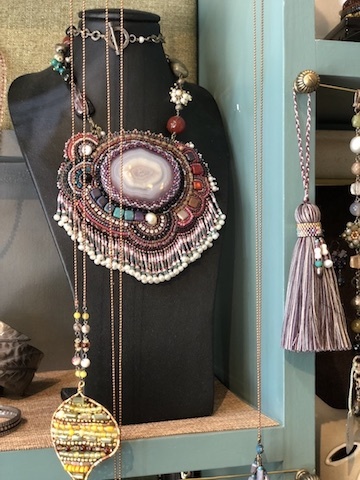 Adorn with Studio Naenna is located here, a shop with the most beautiful organic textiles and clothing, as well as accessories and home deco. 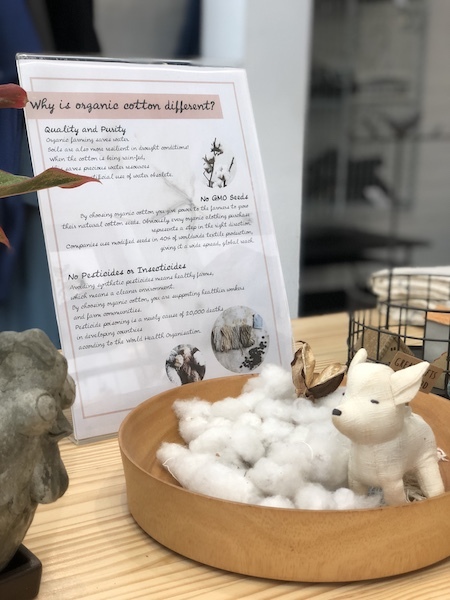 At their studio you can also follow workshops on weaving and natural dyeing. 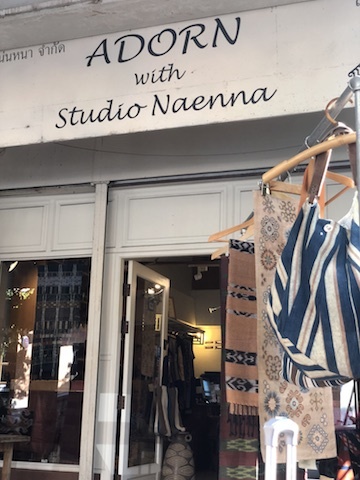 I’ll be writing a separate post on Studio Naenna soon, stay tuned! Another place worth visiting in Soi 1 is One Nimman, a sort of open-aired mall with several small boutiques. They’re a bit more pricey but worth exploring while catching a coffee and snack. 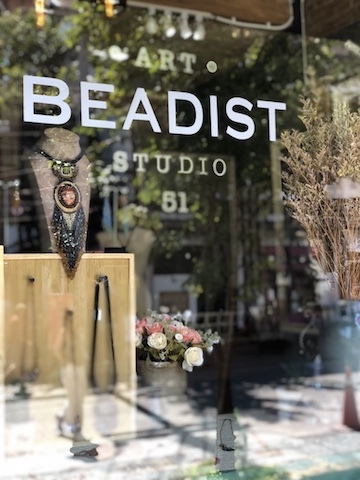 Walking further, be sure to pop by The Beadist (Nimman Soi 5, by the corner with Nimman Road). 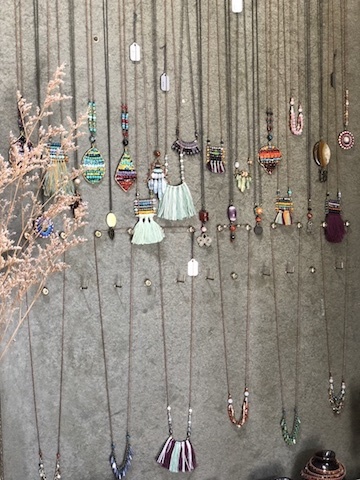 This pretty little shop is run by a Thai lady making gorgeous handcrafted beaded jewelry. 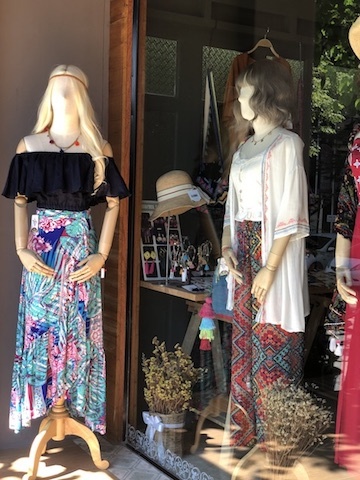 A few meters down the road you’ll find Mila’s, with pretty bohemian dresses and accessories. Another gem in the same street is Ari Art. 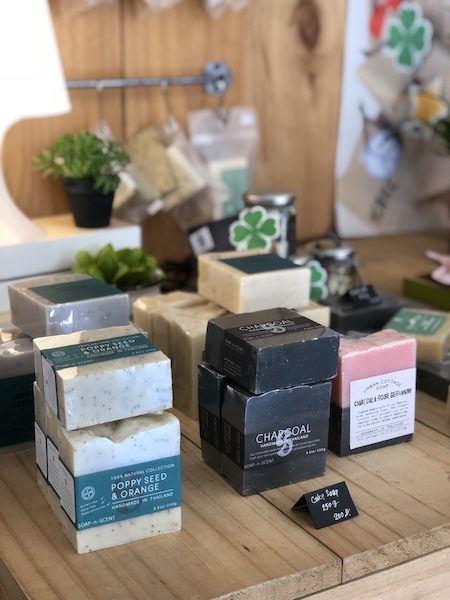 This cute little shop has organic clothing, natural soaps and accessories. 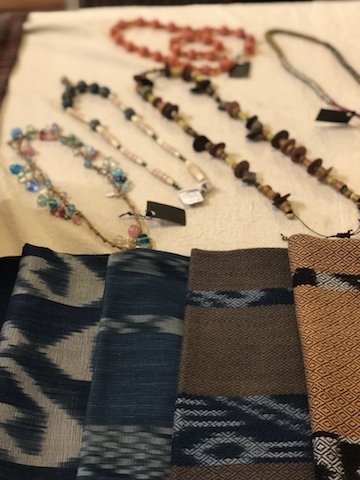 Perfect to score an original gift for a loved one (including yourself)! 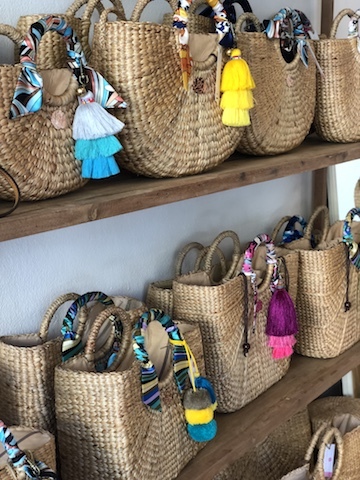 Don’t leave Soi 5 before stepping into Camellia & Co and getting yourself a customized straw bag. You can choose a bag from their large collection or have one personalized. 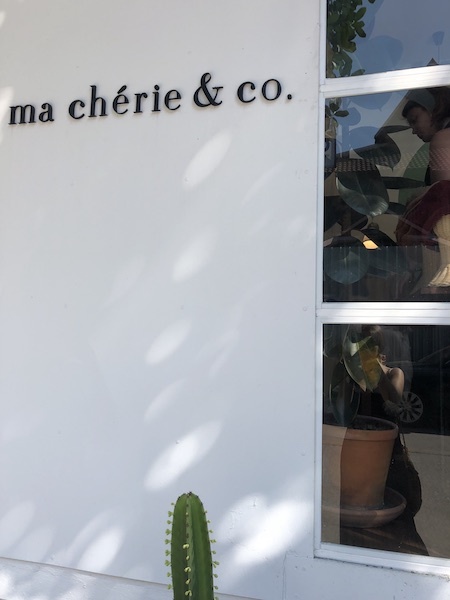 Walking further, stop by Ma Chérie & Co (between Soi 9 and 11). 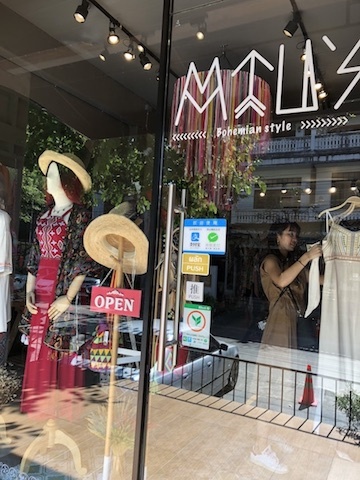 This shop is owned by two lovely Thai girls and has a wide choice of funky jewelry and clothing. 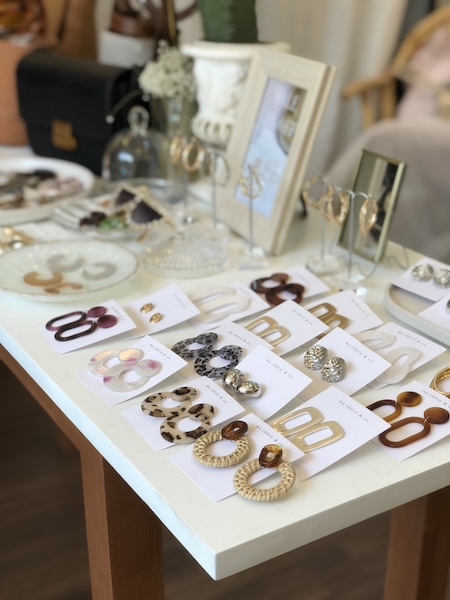 Speaking of jewelry, close by you’ll find Metal Studio Jewelry (Soi 11) with a beautiful collection of handmade pieces. These are my favorite small shops but there’s so much to discover in the Nimman area. Take a stroll and see for yourself – I’d love to hear your discoveries in the comments below! 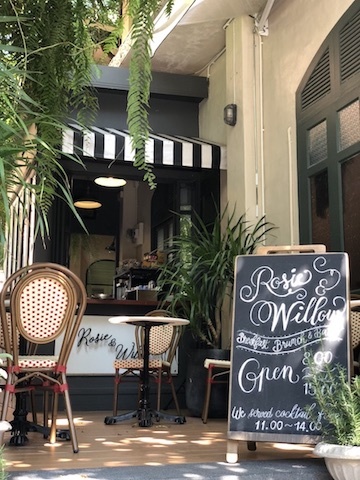 Oh and finally, to keep you going, my recommended places for a drink and snack in Nimman are Rustic & Blue, Healthy B, Rosie & Willow and Waan Cafe. 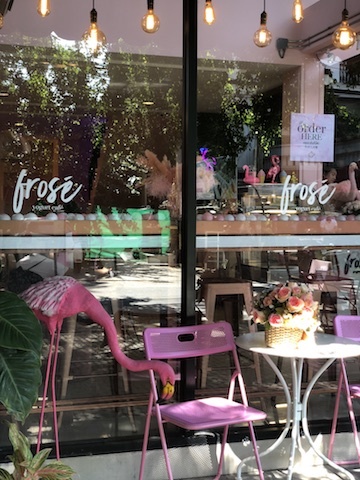 Lovers of frozen yoghurt or pink flamingos (preferably both) shouldn’t miss out on Frosé. To be honest with you, the Ping River didn’t impress me much. Especially coming from Bangkok where the Chao Praya river is home to the old city with beautiful temples and riverside cafes. But hey, I don’t want to be accused of Bangkok chauvinism here – a part of the Charoenrajd Road along the Ping river makes for an interesting stroll. You’ll find some traditional Lanna-style wooden houses there, some of which host art galleries and boutiques. Two crafts shops I’d warmly recommend in this area are Woo Cafe and Sop Moei Arts. 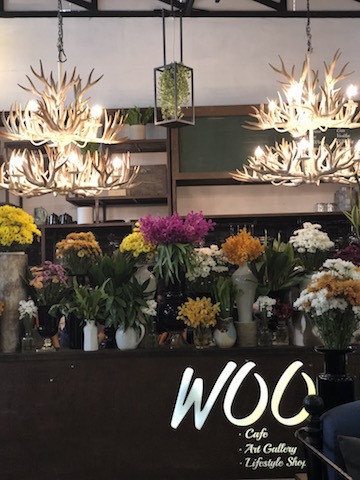 Woo was a great discovery during my last trip to Chiang Mai: it has a delicious restaurant/cafe (try the traditional Northern Thai dish Khao Soi there – just make sure to come hungry as the portions are huge! ), a beautiful home deco shop and a quirky art gallery. Let’s just say I didn’t leave with empty hands (nor an empty stomach)! A second stop worth making by the Riverside is Sop Moei Arts (150/10 Charoenrajd Road). This is a non-profit organization which has been working with the Karen hill tribe for the last 30 years. 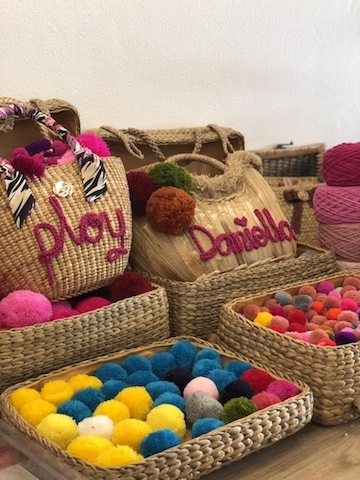 They work with local villagers to create unique and sustainable products. 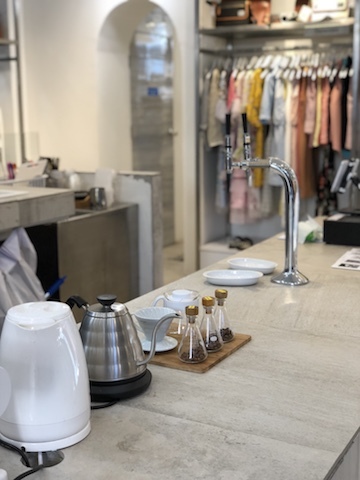 If you’re Bangkok-based, make sure to pop by their shop in Sukhumvit 49 Road. 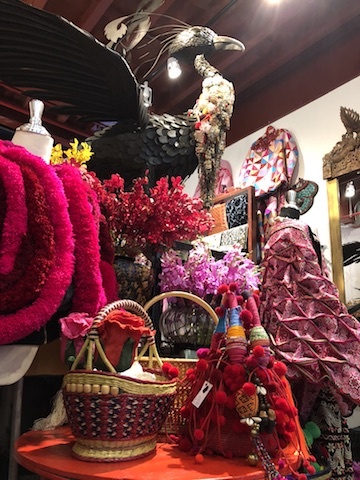 Chiang Mai is famous for its markets, so I include these in my overview – though personally I prefer the lesser known crafts shops above to the more touristy and crowded markets. Most of the stalls sell the typical elephant souvenirs and fake goods you’ll find on pretty much every Thai market. 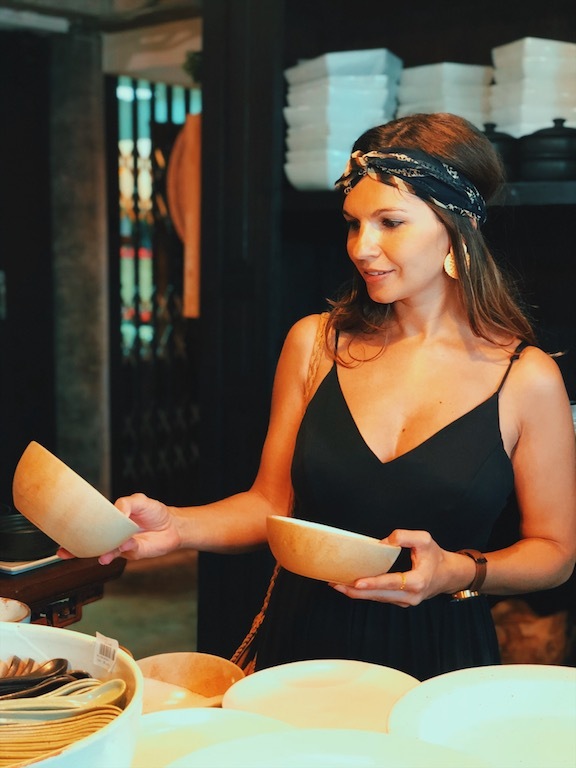 Nevertheless, you can find some hidden gems and artisan items there too – especially if you come during low season to avoid the biggest crowds – and you have loads of tasty street food there to keep you going. Most famous are the Weekend markets and the Night Bazaar. On Saturdays (5PM – 10.30PM) you can hit Wualai road, south of the old city wall, where the Saturday walking street takes place. The next day you can explore Chiang Mai’s Sunday market (4PM – midnight) which starts at Thapae Gate and continues along Ratchadamnoen Rd. If you’re not in Chiang Mai during the weekend and feel like market shopping, there’s still the Night Bazaar (7PM – 10.30PM). You’ll find it at the crossing of Chang Khlan Road and Loi Khro Road, spreading out for two blocks in either direction. If you’re looking for a market with a more local vibe, check out Warorot Market (also known as Kad Luang). It has a wide range of fresh food, street-style snacks and drinks as well as inexpensive clothes and accessories. At a Thai market be sure to negotiate your price with the vendors, just do it Thai style: friendly and always with a smile. If you know some basic Thai, don’t be afraid to throw it in as it will create goodwill and mutual respect. 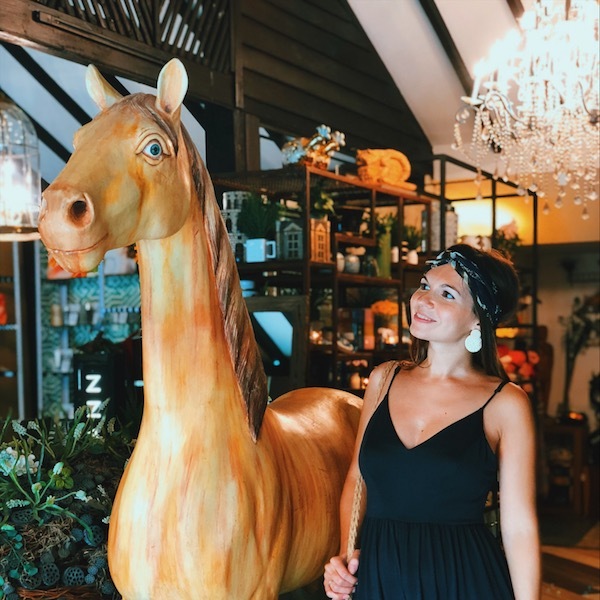 Personally I prefer small shops to malls, but I’d like this post to give you a complete overview of shopping options in Chiang Mai. 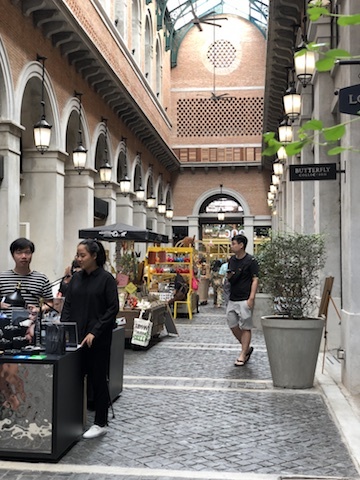 Should you be looking for an air conditioned place to combine shopping and eating, and score some Western brands, one of the city’s (few) malls could be your go-to place. 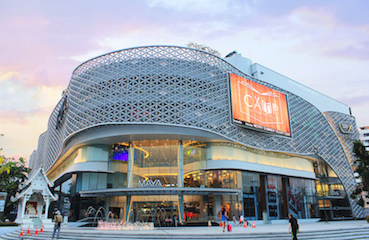 Central Festival (Moo 4, Super Highway Road) may be a bit too far outside the centre if you’re only in the city for a few days, but several expats call it their favorite mall in Chiang Mai. It has a wide selection of brands, lots of food (as every Thai mall has), a few spas and even an ice skating rink. 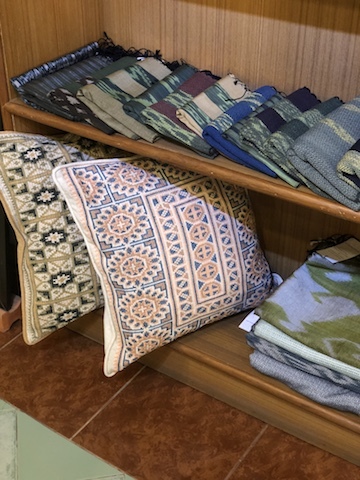 Maya Mall (55 Huay Kaew Rd) is located in the Nimman area – I didn’t visit it myself as I was too caught up in all the crafts shops there! Apparently Maya has a pretty limited choice of shops, but a pretty good food court and rooftop bar. For some more Thai authenticity head to Kad Suan Kaew (KSK), the oldest mall in Chiang Mai. You can find some cheap electronics, clothing and cosmetics here, as well as a food court and supermarket. If you have some time to kill before your plane leaves, you may want to check out Central Airport Plaza (2 Mahidol Rd). 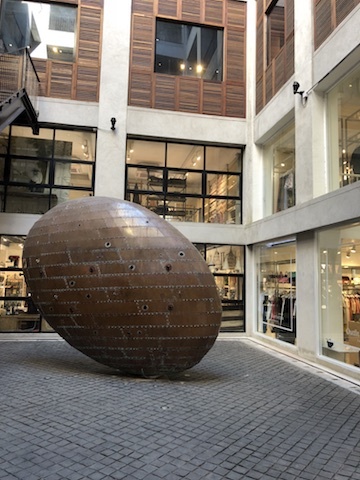 It holds some Western and mostly Thai brands – on the basement floor you can score some last minute souvenirs for a bargain. 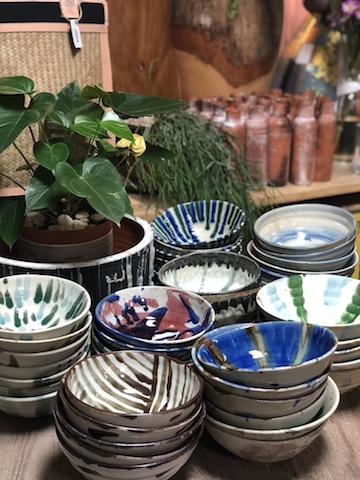 If you have limited shopping time in Chiang Mai and love small crafts shops, I’d definitely advise you to head to Nimman. Enjoy a stroll in the little alleys and discover the wide choice of artisan shops there. Have you been to Chiang Mai already or are you planning to go? I’d love to hear your favorite spots and hidden gems! So much to explore there, it’s my pleasure to share my discoveries with you!! Wow, those Beadist necklaces are amazing. Hi Angela, happy you like them too! 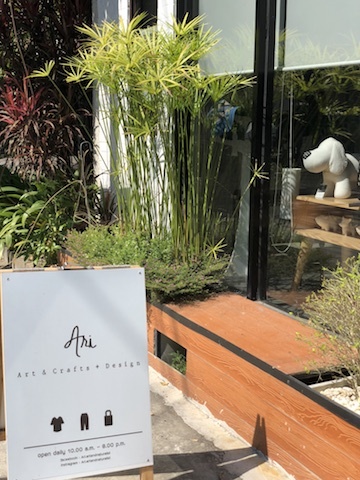 This little shop is definitely worth a visit during your next visit to Chiang Mai!